A new language for home is emerging. Philosopher Glenn Albrecht defines the sense of loss we feel as the land around us shifts and morphs as Solastalgia. He defines Soliphilia as “the love of and responsibility for a place, bioregion, planet and the unity of interrelated interests within it.” Anthropologist Paul Manson broadens Soliphilia to include positivity, interconnectedness and personal empowerment. On the evening before the Tiny House Fest we would like to invite you to a unique and playful communal meal. We will feast, drink and collectively talk on the important topic of creating sustainable homes and equitable space in the age of climate-led land transformations. Join us as we co-make dinner, explore good design for all, and share how we have each discovered a larger life by letting go! This fall, we ask you to stop and observe the humble milkweed plant. A native species often seen along roadsides and hedgerows - it may be a weed - but it holds abundant soft threads of interior light. It sustains what is poetic and necessary in the Berkshires as a food source for both agricultural pollinators and monarch butterflies before their long migration. Milkweed in turn produces its own wings: in November, its seedpods burst with hundreds of silky parachutes that deploy with the late fall breezes. This ubiquitous pod has many purposes, and exemplifies brilliant craft. FESTIVE is a celebration of what is simple and good and a recognition that beauty with utility are the foundations of a content and limitless life. The Laurentian team involvement seeks to redefine consumption - "to make complete" - beyond the exchange of material goods, to include experiences, new friendships and lasting community. 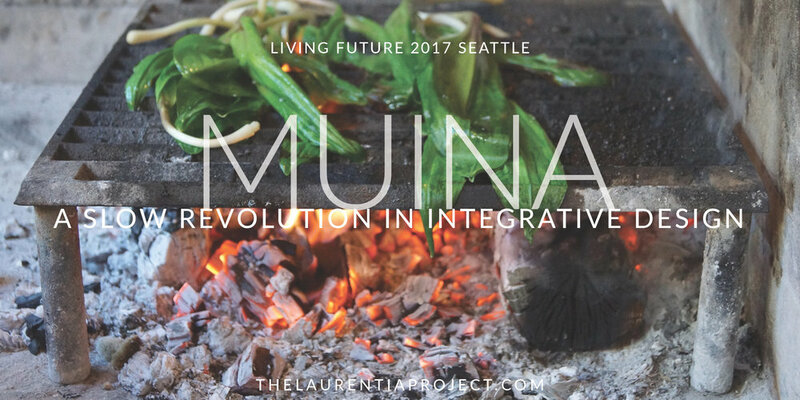 Partnering with Greylock WORKS, the Laurentia Project is designing much of the event materials, including a community supper on the eve of FESTIVE and programming the vendor engagement workshop schedule. Set in an expansive, light-filled mill, the festival marketplace offers music performances, food crafters, local farmers, and the region’s best artisans and textile curators. Visit greylockworks.com/FESTIVE for more info, or join us at 508 State Rd, North Adams, MA 01247 on Nov. 18! FESTIVE is a celebration of what is simple and good. A recognition that beauty with utility are the foundations of a limitless and content life. On the Friday evening before FESTIVE, we will be co-making a consommé, a clear soup made from richly flavored stock. This dinner seeks to explore the idea of taking past marketplaces of consumerism and translating them into marketplaces for community. We will be cooking with author and chef Rachael Mamane (Mastering Stocks and Broths, published by Chelsea Green). Rachael brings a rich personal history to the cooking experience, influenced by a lost heritage and guided by a science degree. We invite you to join us at 6 p.m. in making consommé and sharing a lively meal. Our only ask is that you bring a dish for sharing; please make a dish that embodies community to you. We are living at the incredible transition of one geologic epoch to another. A delineation not in layers of rock, but marked by the impact of a single species on the Earth. The Anthropocene Epoch represents just 0.01% of the whole of Earth’s lifetime, and yet humanity's capacity to effect change is massive and potentially beautiful. Let us bring you there, and discover what we might be able to change when embedded friction gives way to trust. The atmosphere will be set by the stunning work of Justin Brice Guariglia, which combines his own large-scale, highly detailed aerial landscape photographs with unique processes that incorporate painting, printmaking, and sculptural elements to create works embodying on a conceptual, physical and material level the complexity of the Anthropocene, the age in which humankind has left its indelible mark on the face of the entire planet. The nourishment will be provided by Shelley Boris of Fresh Company in Garrison, New York and featuring the food of Ruby Duke of Raven and Boar Farm. Shelley writes, "Cooking is one long creative and scientific experiment. And cooks have always been on the lookout for new tastes and technologies: fire, fermenting, salting, thermometers, pressure cookers, microwaves, freeze drying, dehydrating, sous vide. The same is true in agriculture and food processing, packaging and transportation. Some of our experiments are successes and some are failures, but there will always be curiosity to explore." The evening is hosted by Chris Garvin of Terrapin Bright Green and Victoria Anstead of TwoThirtyOneProjects in collaboration with Jennifer Preston, James Wilson and Tristan Roberts of The Laurentia Project, who will also lightly facilitate (read about our approach here) conversation toward flash-over. This event is sold out....Please join our mailing list for future workshops!